Flushing, the simple process of replacing the nutrient solution (containing water and food for the plant) with plain water, will improve the taste, smell and texture of your yield. The difference this makes to the flavours of your crop is so striking it shouldn’t be missed. Most growers out there are going to be familiar with this hydroponics’ technique. Those that aren’t, where have you been? Excess nutrients in the plant can leave a bitter metallic taste. Flushing prior to harvest removes the excess replacing the delicious flavour and aroma you are looking forward to. It is a particularly important process in hard water areas where plants can de susceptible to impaired flavour due to the water. Plants with a short growing cycle will also benefit from flushing as reducing the nutrients left in the crop will help speed up the finishing phase. In the last week of the plant’s flowering period it goes through a final swelling up process. During this time it stops taking up large amount of nutrients and may even start to release excess nutrient elements back into the nutrient solution. By replacing the solution with plain water at this very last stage, water absorption and nutrient release will be encouraged. If you have a conductivity meter, keep testing the conductivity level of the plain water/flush solution in the reservoir. You’ll notice that the conductivity level will rise as the plant returns nutrients back to the water. In some hard water areas better results may be achieved if you allow the plant to develop to full maturity and then flush for a further week. The water in the reservoir may have to be replaced with fresh plain water/flush solution several times in that period. Flushing can also be beneficial if a nutrient problem has been experienced for any number of reasons. Flushing the plant for 24 hours and then putting a fresh nutrient solution into the system will help the plant rid itself of unwanted nutrients. 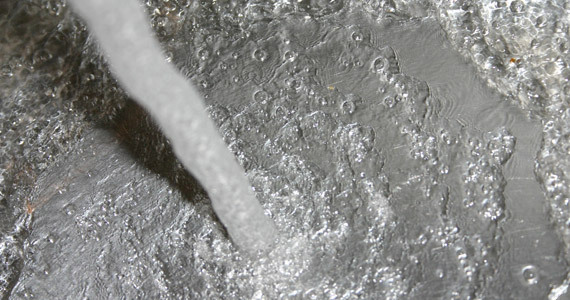 Plain water (soft, but not reverse osmosis) can be good enough for both flushing techniques. Some growers however swear by a special purpose flush product. Remove nutrient solution from the reservoir and clean the container and pipes system as much as possible. Pour water through the system to flush through unwanted salts etc. and remove. Fill the reservoir with plain water or flush solution. Test and correct the pH level. Leave to circulate for 24 hours. Remove plain water or flush solution from the reservoir. Replace with fresh nutrient solution. In the final two or three weeks before harvest gradually reduce the nutrient strength, by checking the conductivity level. One week before harvest remove the nutrient solution from the reservoir. Replace with plain water or flush solution. Leave to circulate until harvest.